At least seven civilians were killed in an explosion in Jammu and Kashmir's Kulgam district on Sunday shortly after a gunfight had left three militants dead, officials said.A police spokesman said the gunfight took place after security forces cordoned off a village in Kulgam on a tip-off that militants were hiding there. The exchange lasted several hours in which three militants were killed and two Army soldiers injured.The police said despite repeated warnings that civilians should not visit the encounter site unless these are declared safe, dozens of locals rushed there. "Someone from the crowd fiddled with an unexploded substance, resulting in the tragic incident," the spokesperson added. Reports from the village said locals were busy dousing the flames at the house that was damaged during the encounter when a deafening explosion occurred.The Kulgam district hospital authorities said that initially three injured were brought to the hospital who were declared dead on arrival. 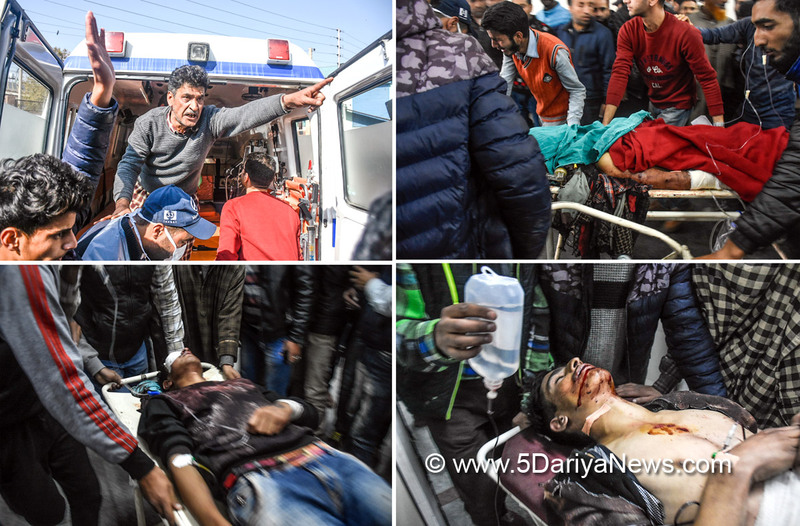 "Two injured civilians while being taken to a Srinagar hospital died on the way while another was declared brought dead by doctors at the Sher-e-Kashmir Institute of Medical Sciences in Srinagar," said the spokesman. Later one more injured succumbed to his wounds at a hospital. A total of seven civilians have died in this explosion while the injured were being treated in different hospitals.A sense of mourning prevailed in Laroo village and other places of the district as people were rushing to the village to enquire about the well-being of their relatives and friends.Authorities suspended cellphone and internet services and ordered a curfew in Kulgam in a bid to thwart more protests.Former Chief Minister Mehbooba Mufti while expressing grief over the incident said: "Civilians are once again caught in the cross-fire of violence, adding fuel to the already volatile situation. "Former Chief Minister Omar Abdullah said alienating the people in the fight against militancy is a "recipe for losing the fight". "How long can we go on ignoring the ground realities and living in denial about how bad things are in Kashmir? "The separatist camp called the deaths as 'bloodbath' and urged people to protest on Monday.